Kids learn through their eyes. Healthy vision is critical for them to read, write, see the chalkboard or computer, and even to play. It’s more than seeing clearly up close and far away. 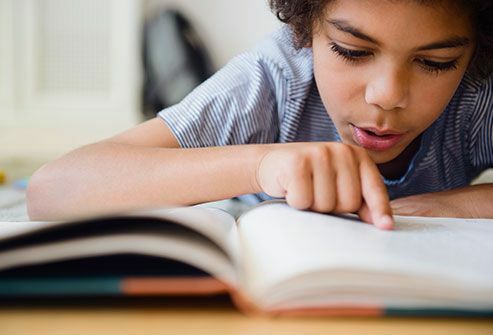 Eyes also help you tell similar letters apart such as "b" and "d." And they allow you to remember details of what you read so you can picture the story in your mind. Your child may also tell you his eyes hurt or feel itchy. The most common eye problems in kids are blurred vision (refractive errors), crossed eyes (strabismus), and lazy eye (amblyopia). A regular eye exam can catch them early, before you or your child notices anything wrong. The longer she has an untreated vision problem, the more her brain will work to make up for it. This can lead to future issues that may be harder to treat. Is It Time To See the Eye Doctor? Children age 3 and up should get a complete eye exam by an eye doctor once every 1 to 2 years. Many kids get a check at school called "vision screening." It can tell if your child is likely to have problems. But it can't diagnose them. In fact, these tests can miss up to 60 percent of problems. Even as a newborn, your child should get an eye assessment and get an assessment during each checkup after. By the time she is 3, she should be ready for a more comprehensive test. Consider bringing along a favorite stuffed toy or holding her in your lap to distract her from fussing with equipment. 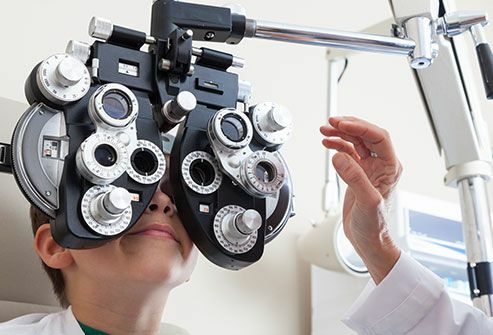 A detailed eye exam takes about 2 hours and involves many tests. Doctors might change things up so they can get closer to -- and be less likely to scare -- little tots. A school age kid’s exam will be a lot like yours. The doctor will check the outside of his eyes and watch how they follow a light or toy. He’ll cover one eye to see how the other moves and focuses. He’ll measure near and distance vision with an eye chart and ask your child to read the letters he can clearly see. Those who can’t read can identify shapes. The doctor may check for colorblindness. Older kids will look for numbers in colored dots; younger ones for shapes. The large device with a bunch of lenses on it is called a phoropter, pronounced "fer-rop-ter." Your child will peer through this to look at an eye chart. The doctor will switch from one lens to another while asking him which one is clear or fuzzy. This is called refraction testing. It shows which power eye lenses your child needs to clearly see. The doctor might use a lighted tool called a retinoscope to learn more about how your child’s eyes focus. 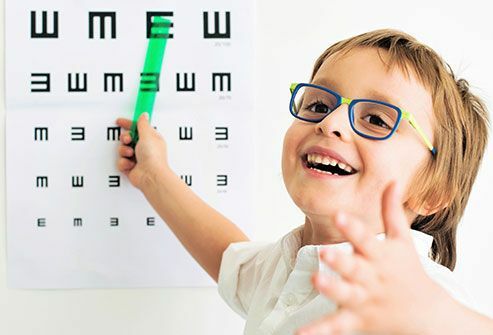 A retinoscopy can help estimate the proper eyeglass prescription and can be especially helpful for young children who can't be tested using an eye chart. Light also provides an up-close look inside your child’s eyes. The doctor will use a flashlight-like tool called an ophthalmoscope to peek inside. Older kids may get eye drops to widen or dilate the pupils 30 minutes before this test. To prepare your child for this, tell her the drops could sting and make things blurry for a bit. The doctor might use another lighted tool called a slit lamp microscope to get a 3-D view. 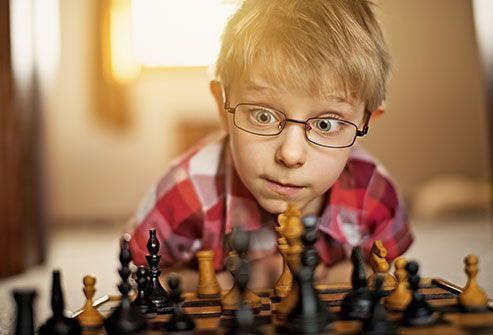 If you child fails a vision exam, prescription eyewear may help. Kids can wear glasses at any age. Choose plastic frames with an elastic strap if you have a toddler. Let an older child choose his own -- but make sure they have spring hinges, which last longer. 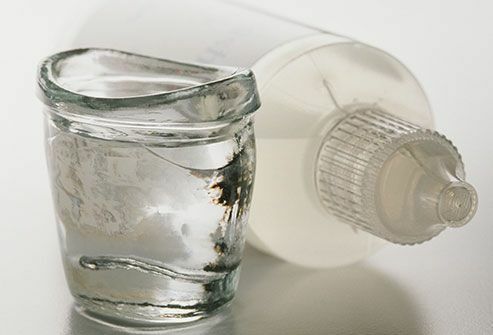 Most kids aren’t mature enough to clean and use contacts until long after age 10. 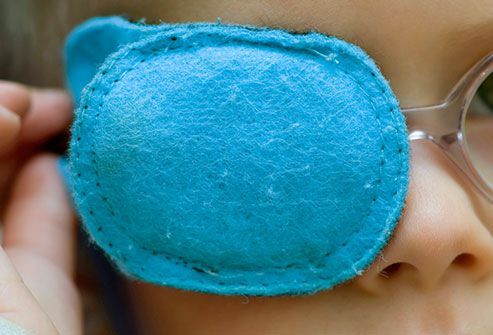 Vision correction surgery isn't advised for growing kids. A kid with glasses needs an eye exam every year. If your child has lazy eye, she’ll get an eye patch or eye drops to blur vision in the good eye. This retrains the brain to see with the weak one. Glasses don’t always make a difference when used alone. But when you pair them with exercise, they can help kids with crossed eyes. Eye muscle surgery may straighten out the eyes, but it won’t improve vision. Babies born with cloudy eye lenses (cataracts) may have surgery, too. 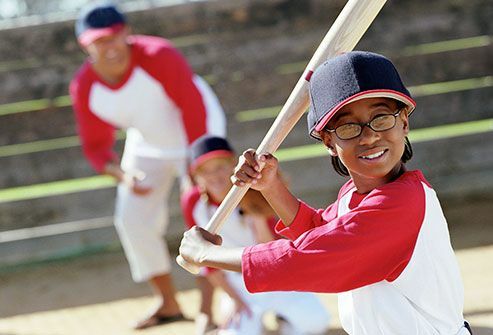 Well-fitted, protective eyewear is a must for kids who wear glasses and play sports to prevent vision threatening eye injuries. Everyday prescription glasses aren't a good choice for the gym, track, rink, or ball field. 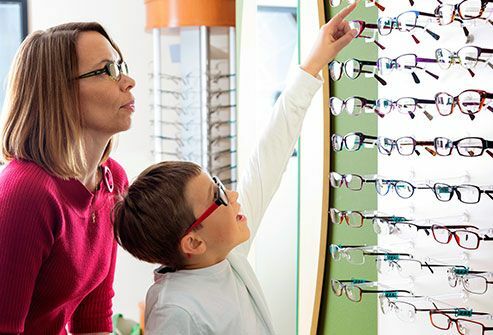 An eye doctor can help you choose what’s right for your kid. You'll want frames made out of tough stuff that won’t break, like polycarbonate. Kids are out in the sun a lot. Ask about sunglasses to protect eyes from harmful ultraviolet light. Treat injuries right away. 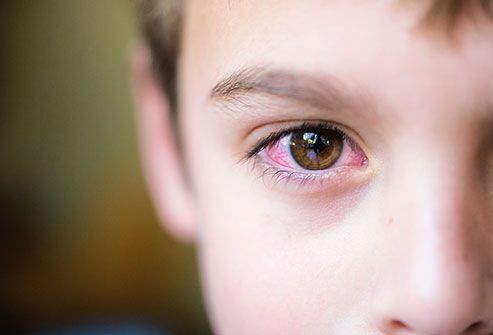 Don’t let your child rub her injured eye -- that can scratch its delicate surface. If there's something in it, flip the upper eyelid over the lashes and ask her to blink several times. Tears help wash debris away. Flush her eye with clean water. If it doesn't come out, go to the ER. Also get emergency care if something hits her eye, if a chemical touches her eye, or if it’s bleeding. American Academy of Ophthalmology Eye Smart: "Recognizing and Treating Eye Injuries." 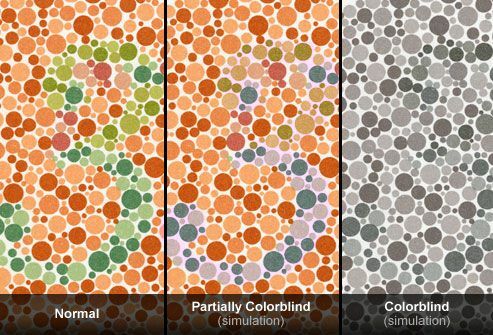 American Academy of Ophthalmology Eye Smart: "Testing Children for Color Blindness." American Academy of Pediatrics Healthy Children.org: "Warning Signs of Vision Problems in Children." American Association for Pediatric Ophthalmology and Strabismus: "Ambylopia." 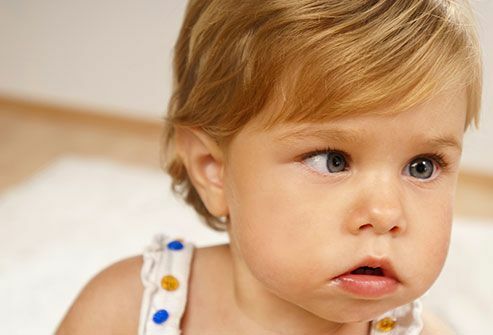 American Association for Pediatric Ophthalmology and Strabismus: "Strabismus." American Association for Pediatric Ophthalmology and Strabismus: "Vision Screening." American Optometric Association: "Comprehensive Eye and Vision Exam." American Optometric Association: "Preschool Vision: 2 to 5 Years of Age." American Optometric Association: "School-aged Vision: 6 to 18 Years of Age." Cincinnati Children's Hospital: "Your Child's Eye Exam." Discovery Eye Foundation: "Your Comprehensive Eye Exam." Knoop, K. "Slit lamp examination." UptoDate. June 30, 2015. Kidshealth.org: "Glasses and Contact Lenses." New York State Department of Health: "Types of Vision Problems." 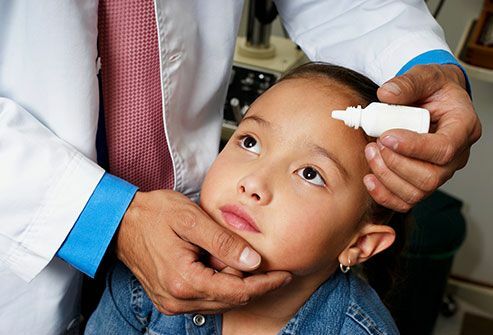 Prevent Blindness: "Helpful tips for your child's eye doctor visit."